Poorly administered business partnerships at Facebook wiped out $150 billion in market value in 90 minutes last month. As the social media giant learned, it’s not enough to mandate compliance in its contracts, companies must have a robust way to monitor compliance and take immediate action to remedy non-compliance. Winner of "Best Overall Value" three years in a row, Agiloft Help Desk is top rated by users and analysts alike. Streamline your operations to close tickets faster, improve consistency, and gain actionable insights. With a customizable end user portal, full workflow engine, dashboard performance metrics, and more. Automate assignments and improve efficiency across your entire organization. Trusted by 3+ million users. Start today and see how Agiloft can work for you. Three time winner of Editors' Choice Award by PC Magazine and heralded as "the most customizable contract management system on the market", Our agile technology platform makes it quick to setup and easy to use. Agiloft provides a centralized, searchable repository with integrated workflows, email alerts, PDF contract generation and reports that address even the most sophisticated approval processes. Fully audit compliant with support for HIPAA, SOX and CFR21. Start today with a free custom demo. Demo of Agiloft Contract Management Suite to PC Magazine analyst on 8/18/2017. Demo beings with newest features followed by an overview of Agiloft as a company and an in-depth product demo. 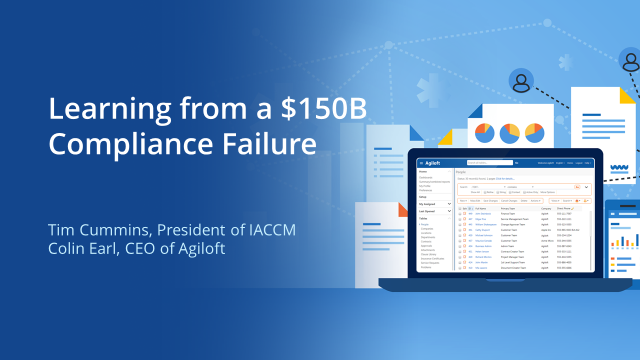 Over three million users at organizations ranging from small enterprises to U.S. government agencies and Fortune 100 companies depend on Agiloft's top-rated product suites for Contract Management Software, ITIL Service Desk, Custom Workflow, and more. Agiloft specializes in automating processes that are too complex for competing vendors. Our best-practice templates and agile technology ensure rapid deployment and a fully extensible system. For more information, visit https://www.agiloft.com/.